NASCAR clearly is a different style of racing for former Formula One star Juan Montoya (No. 42). But Montoya handles being the center of attention extremely well. 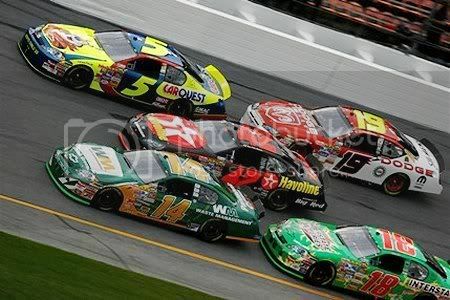 Juan Pablo Montoya met his goal of finishing within the top 20 in his first Daytona 500. He learned a lot after starting 36th, running as low as 42nd, completing the distance and finishing 19th on the lead lap, thanks to a late race “lucky dog” and a crash-fest in front of him on the final turn of the last lap.